Card Rules: Rulings powered by The Netrep API. 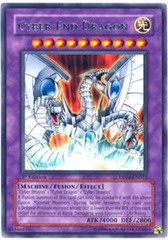 You can Special Summon 'Cyber End Dragon' with 'Cyber-Stein' or 'Metamorphosis'. 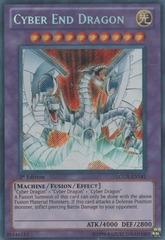 Card Text: 'Cyber Dragon' + 'Cyber Dragon' + 'Cyber Dragon' A Fusion Summon of this card can only be conducted with the above Fusion Material Monsters. 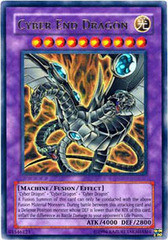 During battle between this card and a Defense Position monster whose DEF is lower than the ATK of this card, inflict the difference as Battle Damage to your opponent's Life Points.